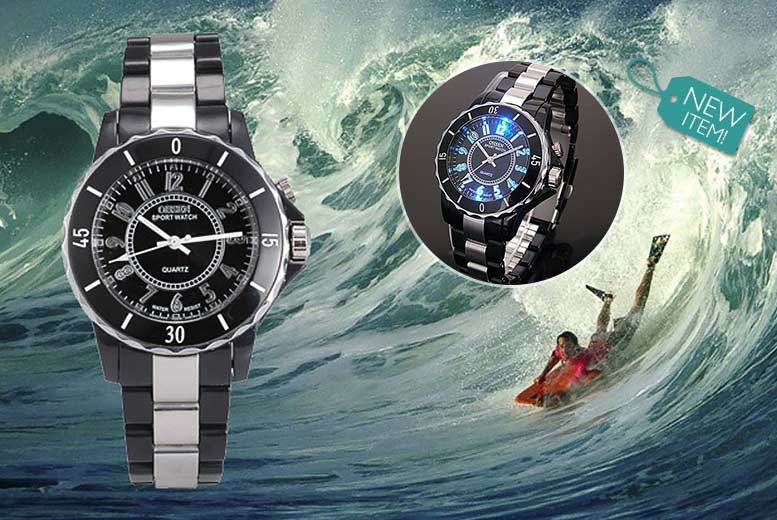 Get an LED water-resistant black stainless steel watch. Stainless steel case with a silicon band. Sporty dial with bold numbered markers. White and blue LED lights. A bold design for a bold man.